The increasingly sedentary nature of everyday life is creating communities with alarmingly low levels of physical activity. Globally over 25% of all adults, and over 80% of adolescents, fail to meet even the minimum levels of recommended physical activity. The price is high, and everyone is paying, both individually and as a society. The cost of inactivity-related diseases, dependency, and lost productivity are impacting on us all. Insufficient physical activity is a top 4 leading risk factor for global mortality. We should no longer ask ourselves if we need to act, but rahther now? Research initiated by KOMPAN shows that the desire to become more active is there but unnecessary obstacles are getting in the way, resulting in a downward spiral of inactivity. Time, money and motivation are the main reasons given for not being more active. This is a valuable insight, as the research shows that a significant 60% of people feel that today’s public spaces do not inspire them to be physically active. In order to see if creating an outdoor fitness site could be part of the solution to stop this frightening development, KOMPAN conducted a survey together with the city of Copenhagen. 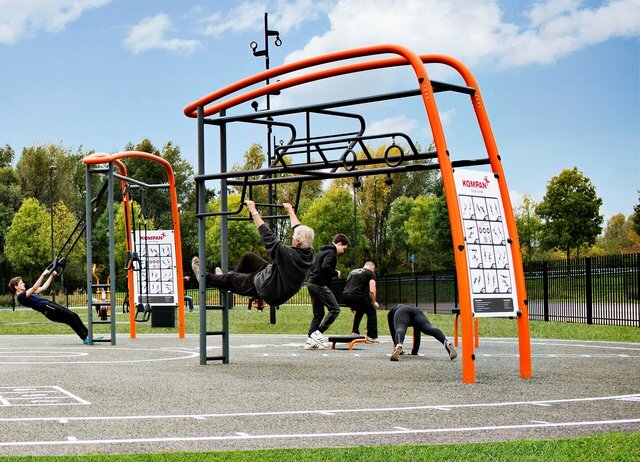 The objective of the study was to investigate who is using the outdoor fitness site, and whether it can activate inactive people. Key Finding of the survey was the outdoor fitness area attracted people of all ages, social classes and ethnicity. And the outcome that 23 % of the interviewed users responded they were not being physically active before, shows that an outdoor fitness is attractive for inactive people and can definitely be part of the solution to create happier and healthier communities.